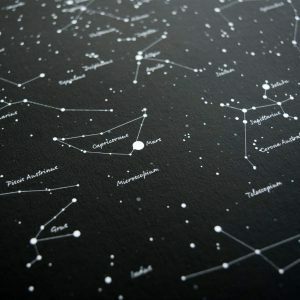 The position of the stars have been carefully mapped out by astronomers for centuries so we can tell the exact position of the stars and planets for any given date and location and even into the future! 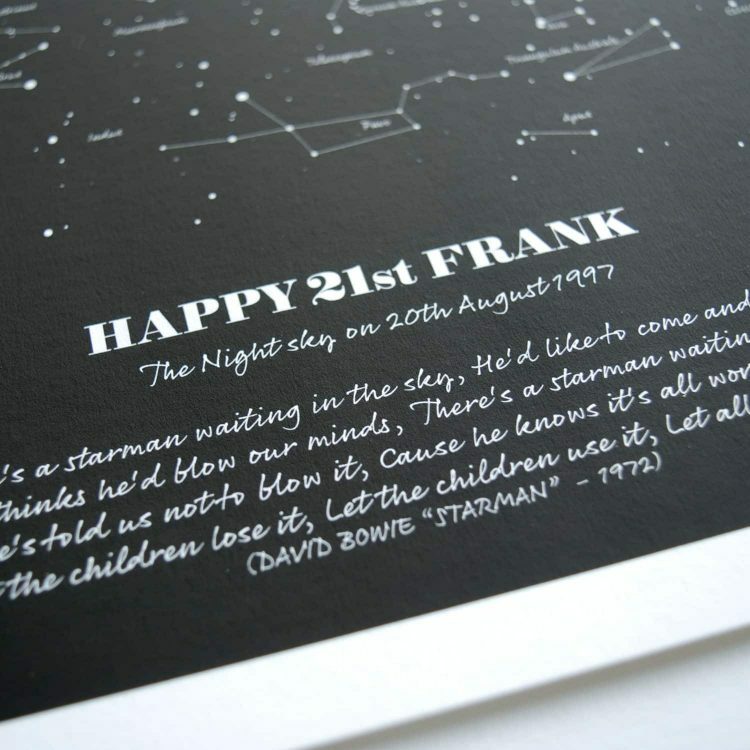 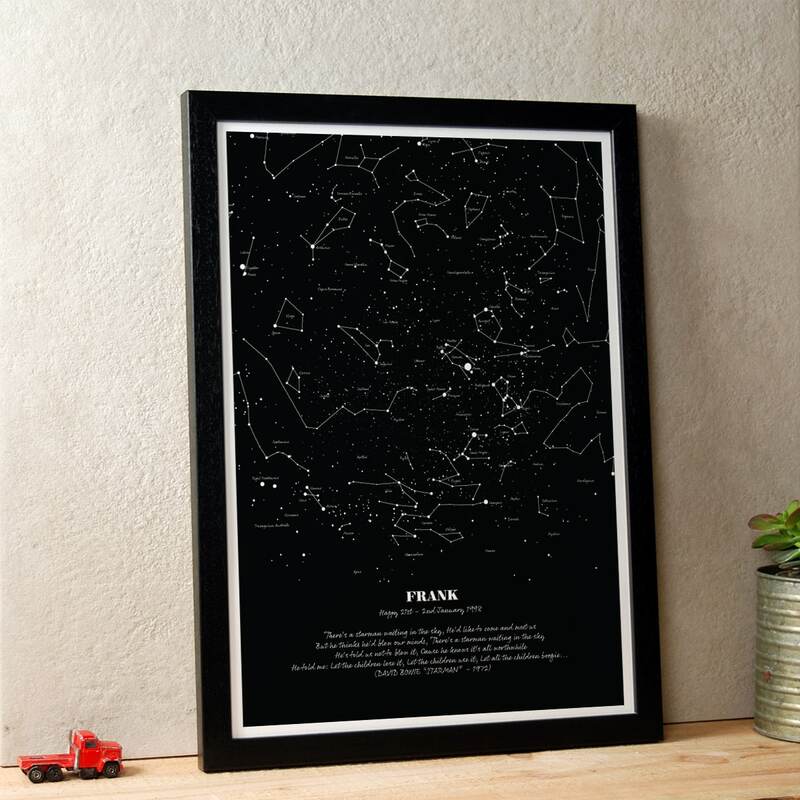 We use Planetarium software to render the exact position of the stars to create your Personalised Map of the Stars print unique to your chosen location and time. Add your own personal message to create the perfect Wedding, Anniversary, Birthday or Christening gift. 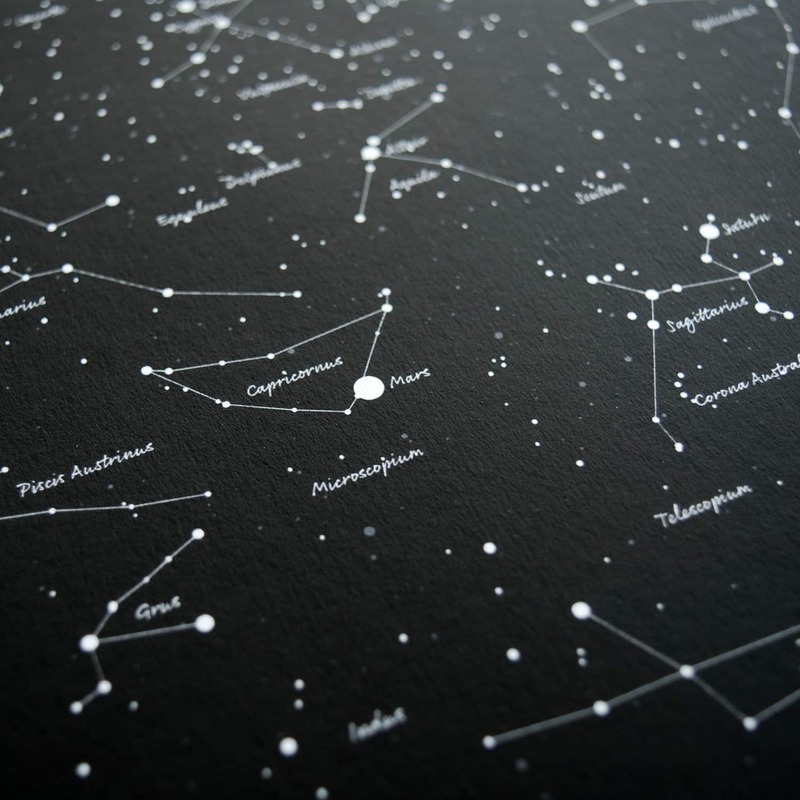 Printed on Museum quality Artists watercolour paper using archival inks so it will never fade. 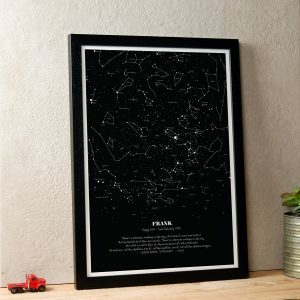 Enter the time, date and location and we will create the exact map of the stars as seen from that location, this will also be printed on the bottom of the print. 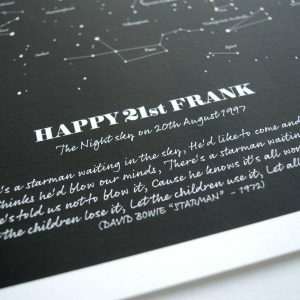 And you can add personal message for the bottom of the print.